Proudly serving Lincoln, Lancaster County Nebraska. New customers receive 4,000 square feet of carpet cleaning when you sign an agreement for a year of Janitorial Service. For making a strong impression in the minds of customers, an office should be maintained in a spick and span clean condition. J4K Cleaning is a reliable commercial cleaning company with a stellar reputation that offers commercial office cleaning, janitorial service, industrial cleaning service, hard surface floor care, carpet and upholstery cleaning as well as building maintenance services located in Lincoln, NE. J4K Cleaning Company makes an earnest effort to meet the cleaning requirements of an array of commercial businesses such as schools, hospitals, learning centers, universities, churches, retail chains, corporate buildings, restaurants, apartment complexes, government buildings, as well as the industrial facilities. We offer our services to the commercial business facilities of Southeast Nebraska, Lancaster County, and Douglas County. We are a customer-oriented cleaning company and give prime importance to our customers. We leave no stone unturned to delight our customers. We have been in the commercial cleaning business for quite some time and thereby know all the tricks of the trade. With adequate knowledge of commercial cleaning, we are able to provide the ultimate best of commercial cleaning services to our clients. Our team of adept cleaners is competent to carry out the cleaning task proficiently. They give attention to minor details to complete the cleaning task in restaurants, hospitals, hotels or any educational institutions with perfection. The staff of J4K Cleaning Company has years of experience and expertise to deliver first-rate quality service. All staff members complete our rigorous training programs..
Why not schedule your no obligation cleaning service estimate today? Why Opt for the Commercial Cleaning Services of J4K Cleaning? Transparency: We abide by ethical principles and offer our clients commercial cleaning service quotes in Lancaster and Douglas County and have no hidden costs and maintain transparency in our dealings with our clients. For our ethical policies and honesty, we have emerged as one of the well-known Lancaster and Douglas County commercial cleaning services providers. Customization: Comprehensive range of commercial office cleaning services that includes grout and tile cleaning, carpet and upholstery cleaning, etc. We offer customized cleaning programs that are tailored to the requirements of the clients. 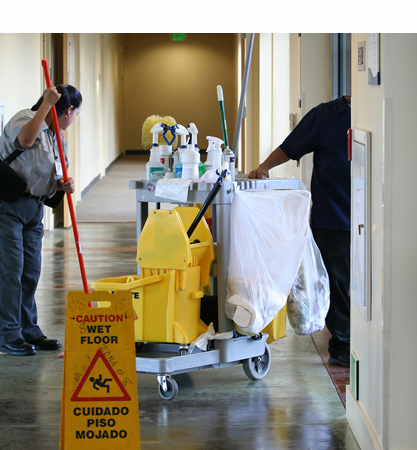 We provide our clients with bi-weekly, weekly, one time cleans, daily and nightly janitorial services. Reputation: As a fully licensed and insured commercial office cleaning company that has an excellent team of skillful cleaners that delivers high-quality cleaning services promptly and efficiently. We have carved a niche for ourselves as a reputable commercial carpet cleaning company as well. Excellent Training: Our focal point is to provide top-grade training to our cleaners so that they deliver superior quality work on time. Our comprehensive training is geared towards improving the performance and procedures of our cleaners. We make certain that they are up to date with the cutting-edge cleaning techniques and methods to ensure that our customers receive the best possible service. Customer-Centric: Being a customer-focused commercial cleaning company, we strive hard to fulfill and even exceed the expectations of our clients. We make all possible adjustments to satisfy the cleaning requirements of our clients. No matter the frequency or type of services you prefer, we offer various types of weekly, daily or nightly cleaning programs that fit into all kinds of budgets. What are you waiting for? Hire the top-grade commercial cleaning services of the cleaning experts at J4K Cleaning. You can complete our service estimate form or reach us at 402-421-3345. J4K Cleaning provides many services that will have your office looking its best, while saving you time and money. Our highly trained professionals will thoroughly clean your facility, leaving it spotless and safe. We take pride in the consistently excellent results we provide to each and every customer, and are completely dedicated to your satisfaction. Our daily office cleaning, and nightly janitorial services are designed to meet your cleaning needs, whether you're looking for a one time office cleaning, daily, nightly janitorial services, window cleaning, carpet cleaning, floor care, or custodial services. Here at J4K Cleaning we offer you complete building maintenance services... One company, one contract- J4K Cleaning! We guarantee our work and stand behind our promises. We establish long lasting relationships with our customers through communication, fairness, reliability and quality work. 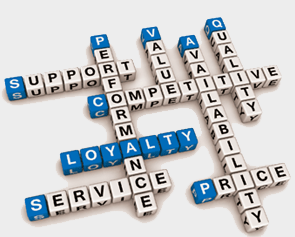 We look forward to bringing our values and qualities to your business. At J4K Cleaning company our goal is your total and complete satisfaction with our service. If you are not completely satisfied with our service we will do what is necessary to exceed your expectations. At J4K Cleaning Company We Care and It Shows! We provide cleaning services to match your needs. No job is too small or big. Our knowledgeable staff is trained to handle the cleaning needs of your busy facility. "I have had the honor to work with Jeff Fillmore for 5 years while he has volunteered his time and experiences to help others on several industry related discussion boards as both a moderator and a mentor. I believe that through his mentoring Jeff has aided many business men and women to be successful with their own businesses."